After a quality wine-tasting trip? 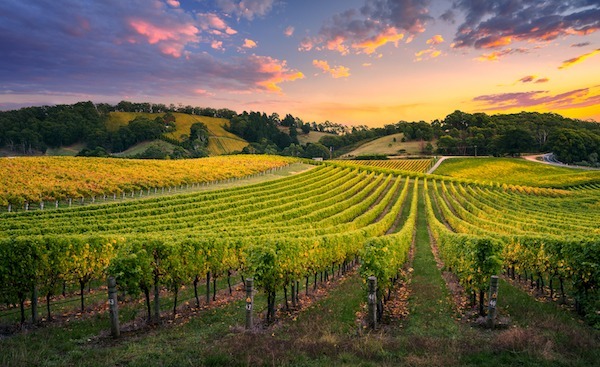 Well, it looks like it’s time to visit the wine capital of South Australia – the Barossa Valley. Wine is what comes to mind when most people think of the Barossa, and it’s no wonder why with more than 550 grape growers calling the region home. What makes the Barossa so special is the fact that it is one of the only regions in Australia that uses two different climates to produce wine. While the Barossa boasts some of the most famous wine companies in the world, it’s the emerging winemakers that really make the difference – these are the artisans carrying on the baton of Australian winemaking. So, we urge you to treat yourself to a taste of the future of wine in Australia. With wine this delicious, how could you not? On top of this, different wine tours allow you to taste wine the year you were born, along with different drops made during historical moments in time. The Barossa Seasons Festival: Autumn is a must-attend event if you’re in the area at the beginning of April. Each season, the region hosts a three-day event dedicated to (showing-off) the best in food, wine and culture that thrives during that particular time of year. Wander through the charming vineyards as the leaves begin to change while tasting some truly world-class wine, perfectly selected for the cooling temperature. There will be seasonal activities available, as well as yummy autumnal foods ready for tasting! If wine is your passion, and a quick getaway is on the cards for you, then get to the Barossa Valley and immerse yourself in vast range of wines to whet your appetite – you’ll be back wanting more!